“So what do you want?” asked the Nurse Supervisor during our meeting that morning. “Ahh…Make her work for only 90 days and if there’s nothing available, we’ll see from then,” responded the one who also has power in another department of the Sheriff’s. I saw that grin from the Nurse Supervisor from the corner of my eyes. I knew this was what she wanted to happen from the moment she heard about my case. I got up and thanked all of them. My strides and desire to leave that room was urgent. I felt suffocated from all of their derision I felt was going on as soon as I left. They loved to punish. But they would never see the way I saw things now. Under His light, I didn’t see it that way. I saw it as a “sacrifice”. Oh Lord, when they thought they are in control of someone’s fate, they are wrong. They don’t know Who truly has the control of everyone’s lives. Lord, may I be a pleasing sacrifice to You and through this trial, may they see Your light that You had given me. Lord, thank You for what You had done to save us. That You sacrificed Your own life, suffered humiliation though You didn’t deserve that. With those who hated You thinking that they punished You, not realizing that You had given Your own life to conquer death and show Your holiness. 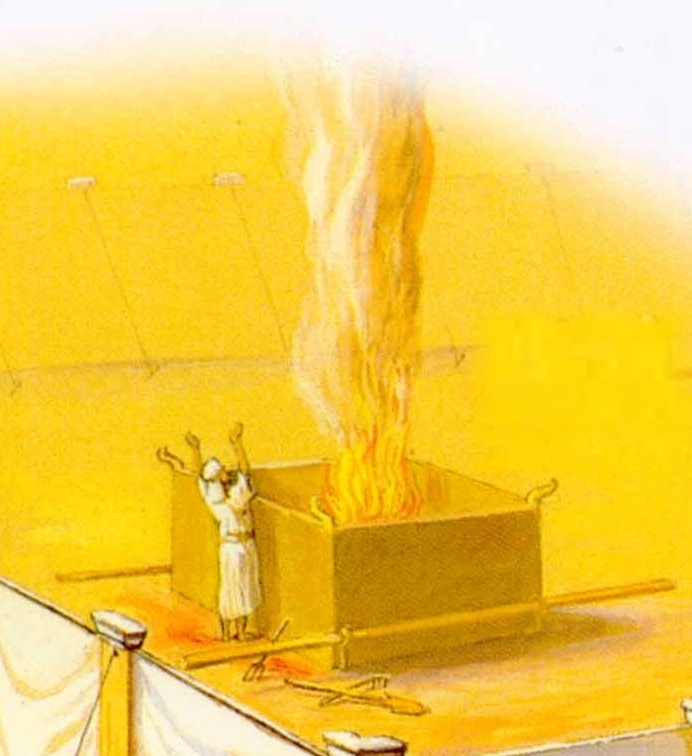 Lord, I want to be bound and be that sacrifice on the brazen altar. I pray that it will make these hateful people know Your love and grace as they think they have the hold on my fate. And in the fire, remove those impurities in me. Thank You Jesus for Your redemption. Thank You for everything You have given us. Your Love. Your grace. Your mercy. Because of You, I am rejoicing though facing this trial. I want to praise Your Holy Name. Write a new song in my heart oh Lord. Because of You, I will rejoice and be glad. In Jesus’ Name. Amen. “The stone rejected by the builders has now become the cornerstone. And it is marvelous to see.